Copenhagen's seventh annual International Human Rights Day Walk raises awareness of bullying as a human rights abuse. 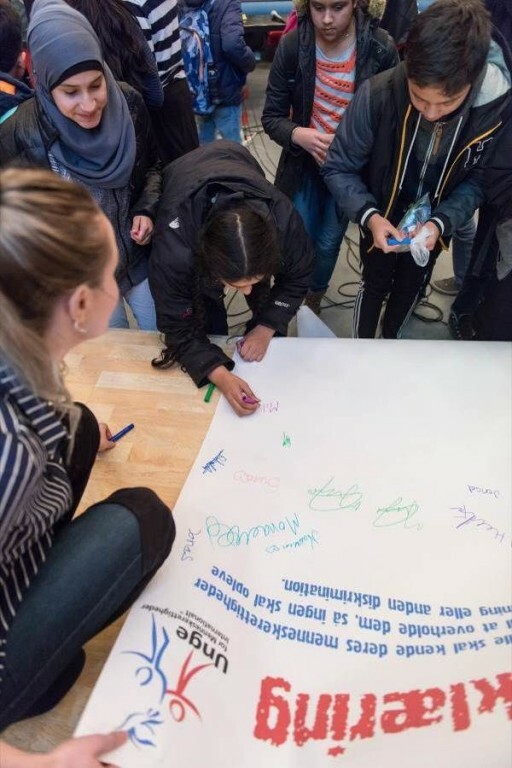 Some 200 students took part in the seventh annual Youth for Human Rights Walk to raise awareness of human rights and unite youths to fight bullying in Copenhagen schools. Pushing back against bullying has emerged as such a priority for Danes that HRH Crown Princess Mary of Denmark adopted bullying prevention as the first focus of her personal charity, the Mary Foundation. The Human Rights Walk was organized by the Copenhagen chapter of Youth for Human Rights and ENAR (European Network Against Racism). Students leading the march carried a banner bearing the Youth for Human Rights logo and the slogan “Know Your Rights.” They were followed by scores of young human rights advocates, each holding a placard proclaiming one of the 30 rights enshrined in the U.N. Universal Declaration of Human Rights (UDHR). The walk culminated at the Peder Lykke School where they were joined by public officials and representatives of humanitarian groups including a national MP, a member of the Copenhagen City Council, and representatives from European Network Against Racism. Speeches and entertainment raised awareness on bullying and what youth can do to prevent it. Speakers noted that bullying is a violation of the UDHR, elevating the subject from simply being a “personal problem” to an important human rights issue. 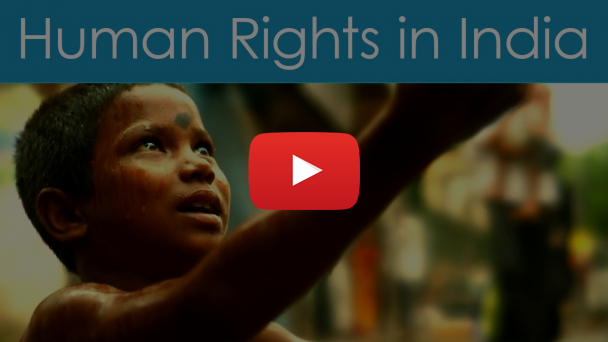 Youth for Human Rights International and its sister organization, United for Human Rights, have created materials and curricula for conducting human rights education at all levels of schooling. These resources empower youth with the tools they need to fight bullying effectively. Bullying is a factor in several of the 30 Youth for Human Rights public service announcements illustrating the articles of the UDHR. In addition, the group’s music video UNITED shows that by taking a united stand against bullies youth can help their friends prevail against this abuse. Youth for Human Rights is an educational initiative supported by the Church of Scientology. Scientologists on six continents partner with government agencies and nongovernmental organizations to bring about broad-scale awareness and implementation of the Universal Declaration of Human Rights, the world’s premier human rights document.